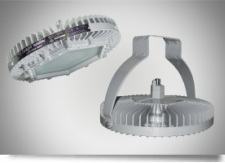 The first of its kind, the Dialight SafeSite Series LED Class I, Div 2 High Bay luminaire was designed specifically to replace conventional high bay lighting fixtures in hazardous location applications. Dialight’s SafeSite Class I, Div 2 LED area lighting fixture consumes at least 50% energy compared to traditional HID light sources, while reducing maintenance and carbon emissions. 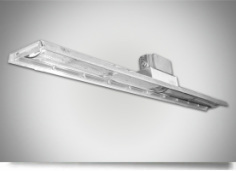 The SafeSite® LED Linear fixture’s rugged solid state design makes it highly resistant to shock and vibration. 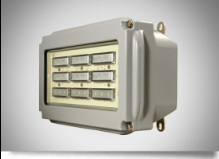 Its fully gasketed IP 66 rated enclosure makes it suitable for dust & wet locations, its 1598A rating guarantees added protection from salt water spray. Dialight’s SafeSite LED Wallpack Class I, Div 2 and Class II, Div 2 version is ideally suited for oil platforms, explosive environments, mills, chemical plants and other hazardous environments. For general lighting purposes, whether in a refinery, oil platform, chemical plant or any other hazardous location application, Dialight’s SafeSite RTO LED Area Light can greatly reduce energy needs. 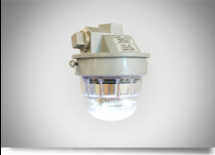 Dialight’s SafeSite LED Area Light is designed for tough and harsh hazardous locations. 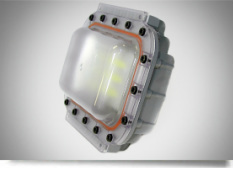 Its green credentials include significant energy consumption savings and reduced light pollution.